On May 17, 2016, then-candidate Donald Trump did something unprecedented. He released a list of 11 judges as candidates to replace U.S. Supreme Court Justice Antonin Scalia, who had passed away earlier in the year. That September, he added 10 names to that list — including that of Neil Gorsuch, the man who was subsequently nominated and confirmed to the Supreme Court after Mr. Trump became president. (Recently, Mr. Trump added five new names to the list). The list was instrumental to Mr. Trump’s electoral victory. 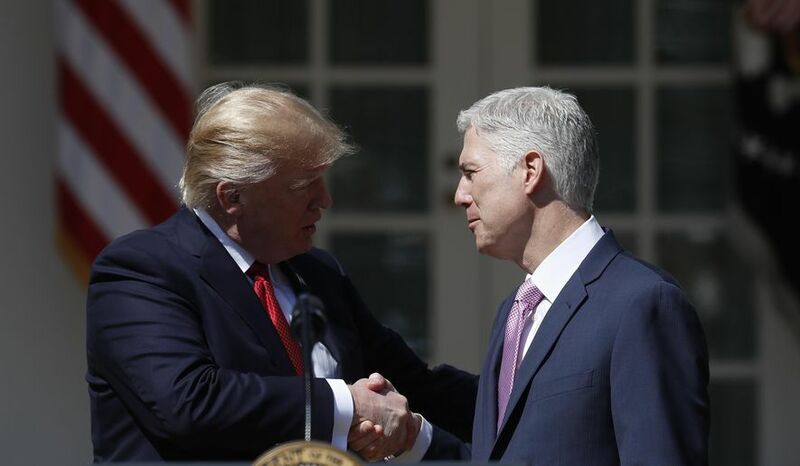 An ABC exit poll found that 21 percent of voters said that future Supreme Court appointments were the most important factor in their decision, and among those voters Mr. Trump enjoyed a 17 percentage point margin of victory. A similar poll by NBC had Mr. Trump winning by 15 points among the 22 percent of voters (according to that poll) who said this was their most important consideration in deciding which candidate to back. The well-crafted list persuaded a lot of wavering voters who, at least with respect to the courts, felt they could trust Mr. Trump to nominate judges in the mold of Scalia and Clarence Thomas, that is to say, originalists and textualists. Moreover, the Trump administration made clear that it would prioritize nominating highly-qualified men and women to fill life-tenured positions on the federal bench. The president is off to a solid start. While the crowning achievement of the year was clearly the confirmation of Justice Gorsuch to the Supreme Court, the Senate also confirmed 12 Circuit Court judges this year — the largest number of appellate judges confirmed during the first year of any president in history. While the Supreme Court only hears about 70 cases per year, the federal appellate courts consider roughly 50,000 cases per year. During the Obama administration, the number of circuit courts (out of 13) with a majority of active judges appointed by Democratic presidents grew from one to nine. In a very real way, therefore, the buck often stops at the lower appellate courts when it comes to deciding important legal issues, which is why the Trump administration prioritized filling appellate court vacancies. That strategy has paid off in spades. The intellect and overall caliber of each of the confirmed appellate judges — Stephanos Bibas (3rd Circuit), Jim Ho (5th Circuit), Don Willett (5th Circuit), Amul Thapar (6th Circuit), John Bush (6th Circuit), Joan Larsen (6th Circuit), Amy Coney Barrett (7th Circuit), Steve Grasz (8th Circuit), Ralph Erickson (8th Circuit), Allison Eid (10th Circuit), Kevin Newsome (11th Circuit), Greg Katsas (D.C. Circuit) — have been exemplary. Naturally, there have been some bumps along the way, most prominently with the recent, highly publicized withdrawal of three district court nominees. Moreover, while Mr. Trump now has set the record for circuit court confirmations during a president’s first year in office, he lags far behind other presidents in terms of total judicial confirmations during the first year. Mr. Trump’s tally is only 19 judges confirmed. Meanwhile, in their inaugural years, George W. Bush racked up 28 confirmations, Bill Clinton 28 (including Ruth Bader Ginsburg), Ronald Reagan 41 (including Sandra Day O’Connor), Jimmy Carter 31, and Richard Nixon 25. With over 160 vacancies to fill and 50 nominees pending, there is clearly more work to do. And, of course, with the election of Doug Jones in Alabama, the Republican majority in the Senate has narrowed. Nonetheless, President Trump, White House Counsel Don McGahn, Senate Majority Leader Mitch McConnell, and Senate Judiciary Committee Chairman Chuck Grassley are certainly off to a great start in terms of reshaping the courts and the direction of the law for years to come, a long-term project to be sure. តើលក្ខណៈសម្បត្ដិអ្វី ដែលធ្វើឱ្យទីក្រុង ក្វាងចូវ ក្លាយជាទីក្រុងដ៏ល្អបំផុត សម្រាប់វិនិយោគិនអន្តរជាតិ របស់ប្រទេសចិន?